Hi! Have you been out shopping lately? 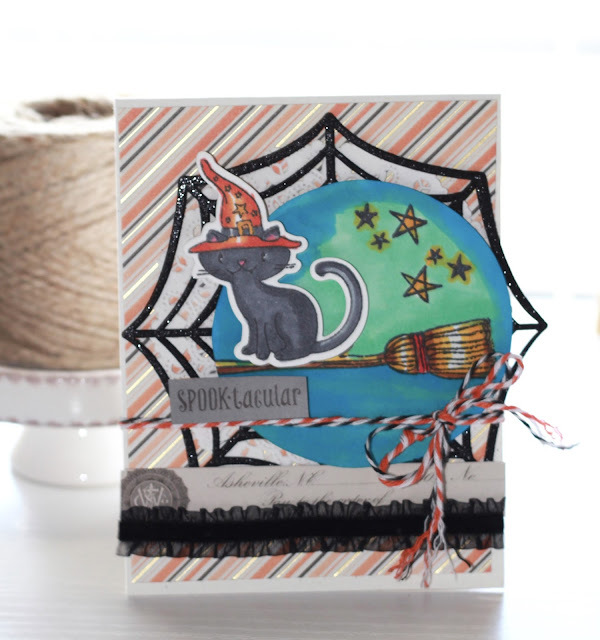 Candy corn fills the shelves, the craft stores are full of Halloween and fall decor and supplies to spook up your home, it's so exciting! I could honestly get amped about making Halloween all year long! Around here Halloween gets top billing in the Holiday dept. 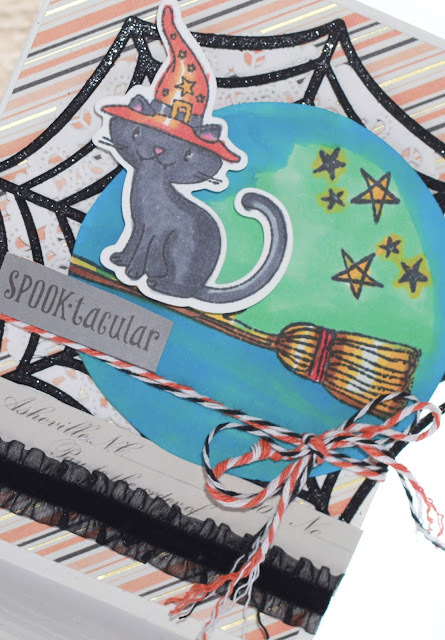 I found this adorable stamp set complete with a die for the black cat at Michaels last week, and you can expect the set to make quite a few appearances by the end of October, it's just so cute! I'm off to another celtic festival work weekend, I do love the highland games, such fun people always! Have a great day! I love the Bates Motel tv series!! The acting is superb! ! Loved your card today. I may have to go to Michaels and get that kitty.